Cats communicate through natural messages released in the air (called pheromones). These feline odorless messages are only perceived by other cats. People and dogs are not affected. 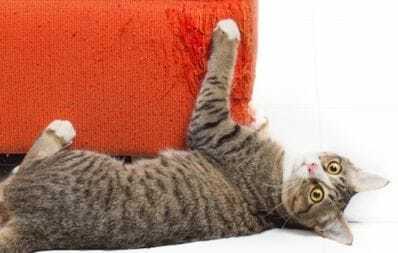 How does the FELIWAY family of products work? FELIWAY CLASSIC provides “happy messages” to cats and makes them feel comfortable and secure at home. By mimicking the natural feline reassuring messages, FELIWAY CLASSIC helps your cat happily adjust to pace of modern life. You can provide calming and comfort at home and help prevent or reduce urine spraying, scratching or hiding. FELIWAY MultiCat provides “harmony messages” to cats to help restore harmony between cats living together. By mimicking these natural feline appeasing messages, FELIWAY MultiCat helps your cats live in harmony and avoid tension, conflict and fighting. 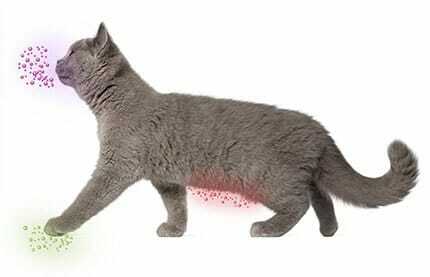 FELISCRATCH by FELIWAY provides “territory messages” to cats and encourages them to scratch on the scratching post. 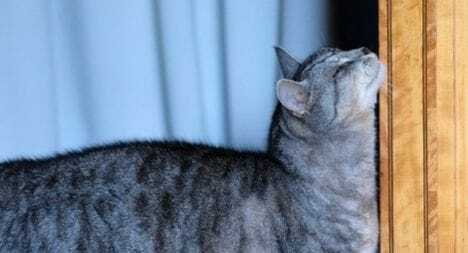 By mimicking these natural feline territorial messages, FELISCRATCH by FELIWAY is a simple answer to your cat’s inappropriate scratching in the home.